Jackie Chan And Sonu Sood meet in Dubai to plan the second instalment of their film ‘Kung Fu Yoga’. Asian cinematic icon Jackie Chan hosted a special dinner for Indian actor Sonu Sood where they discussed plans for the second instalment of their film “Kung Fu Yoga”. Sonu had featured with Chan in Stanley Tong’s 2017 action-comedy “Kung Fu Yoga”. When Chan, who is shooting for “Vanguard” with Tong here, got to know that Sonu is also in the same city, they decided to arrange a dinner for him. “The whole dinner thing was very special. Everyone was so emotional,” Sonu said in a statement. 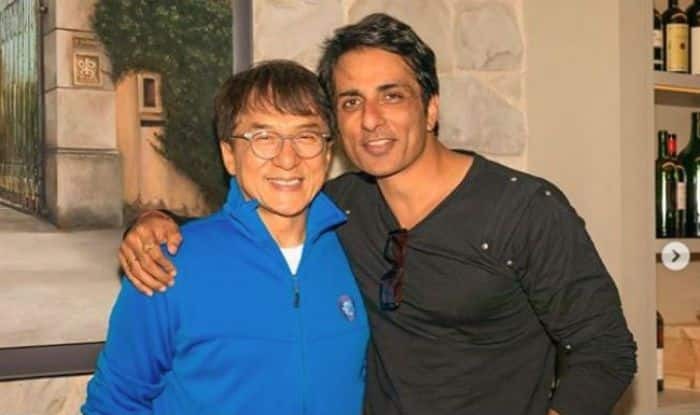 Sonu Sood took to Instagram to share an adorable picture with Jackie Chan. The caption says, “Some bonds are for life❤️ thank u bro #jackiechan n #stanleytong for the lovely dinner. Was great catching up again after so long Love u always .. n yes all set for KUNGFU-YOGA-2 #dubai”. “Friendship is one thing which can’t be put in words. It stays with you. It really made me emotional,” he added. According to a source, Sonu is very close to Chan and his family. “When they got to know about Sonu being in Dubai, they wrapped up the shoot early to host an exclusive dinner for him in an Italian restaurant.